Chevy Chase Bathroom Remodeling: Yes, Please! Although we are in Annandale and many of our clients are in Northern Virginia we do get a lot of “transplants” who go north to Maryland to cities like Chevy Chase. They may have left a great bathroom behind in the “Old South” and want us to bring their new home up to date. Sure, everything else about the Chevy Chase home is great – the locale, the shops, the schools – except for the bathroom. These days a lot of people use the bathroom as a place in which to relax and unwind after a hard day’s slog at the office, so they want the bathroom to be beautiful, not just somewhere to have a quick shower and be out in five minutes. Few things are nicer than relaxing in a warm tub where you can let your mind drift away. Some people like to read a book or even watch TV for a bit. Whatever turns you on, we can undertake designing and bathroom remodeling, Chevy Chase, Maryland. The first thing to do is to sit down with us and discuss your wishes: nothing beats talking to an experienced bathroom remodeling contractor who has created many superb bathrooms over the years. We will almost certainly have ideas that you may not have considered, especially if you have never had a bathroom remodeled beforehand, because we remodel bathrooms all the time. Bathroom remodeling, Chevy Chase, Maryland, is not something that should be rushed, because it has to be done right the first time. A Walk-In Shower in your Chevy Chase Bathroom: Yes, Please! What sort of things would you like? You could have a walk-in shower where you can have a seat and have multiple nozzles spraying the water at you from up to ten different points. Think about the layout. In many homes the bathroom door gets left open and the last thing that you want – especially if you have guests – is for the toilet to be the main feature of the room! You can hide it away completely with a half wall. Do you want a separate tub? Some people like to laze for half an hour in a warm bath, while others do away with the tub entirely. What about vanities? Many people are opting for “his and hers” double vanities these days. Perhaps you would like a tiled floor that has heating so that you don’t step out of the shower or tub on to a cold floor. 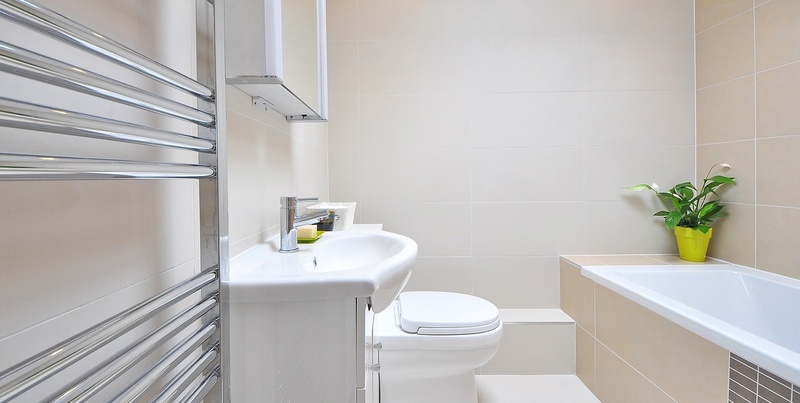 Certainly, there are many options to take into account when you are considering bathroom remodeling, Chevy Chase, Maryland, so give us a call and sit down with us for an initial meeting.